2017-2018 PARISH ANNUAL REPORT - pdf Document - THANK YOU FOR YOUR CONTRIBUTION! At St. Linus Parish we encourage all to look at their giving as a response to the blessings God has given them throughout their lives. When we give to our parish we are expressing our gratefulness. Giving can take many forms. 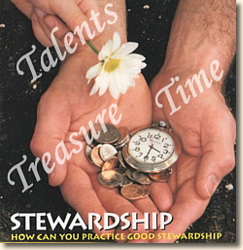 Giving of our time and talent are incredibly important to the life of a parish. You are encouraged to search through the various ministries and organizations of the school and parish to discern how you might best share your time and talents with the community. This website is filled with information and contact names to help you get started. Giving of our treasure is also an important commitment. 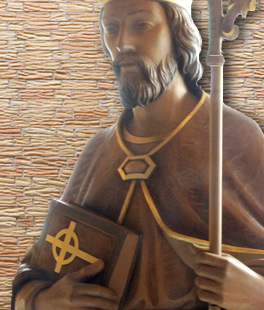 Your support either through Sunday collections, participation in fund raising events or remembering St. Linus Parish in your will are important building blocks for the programs, facilities and functions of our parish and school. If you would like to make a commitment today, our online payment partner is GiveCentral.org, a secure interface for making donations to our parish by electronic check or your credit card (Visa, MasterCard, Discover or American Express). You may make one-time contribution or regular weekly, monthly, or annually automatic donations using GiveCentral.org. We encourage you to seriously consider this electronic giving option. You save checks. We save envelope mailing. You can still give to all collections. It’s a win-win situation! GiveCentral.org also collects second collections. Parishioners who use GiveCentral.org for their regular gifts can enter amounts based on the month and the collection name. For instance, you can plan individual gifts for the Retirement Fund for Religious, Catholic Charities, and others. This enables you to plan out your gifts, and support what is most important to you. If you choose to use GiveCentral.org, it will replace your weekly envelopes. However, if you would still like to have something to put in the collection basket, special donation slips are available. You may want to read the GiveCentral.org New User Registration Guide (PDF) to learn more about how to register as New Donor.